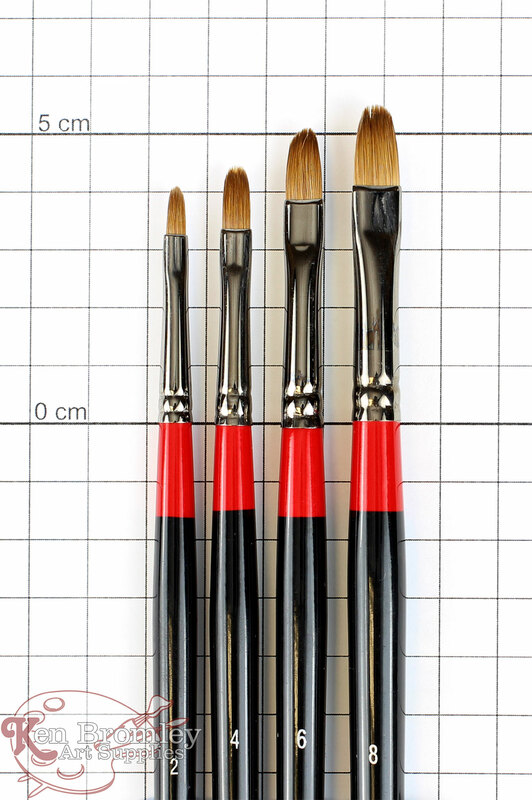 Our oil brush ranges have been carefully designed to provide artists of all abilities with the most comprehensive choice of shapes and sizes. Filberts curve gently to a point, allowing easy control of the brush head. 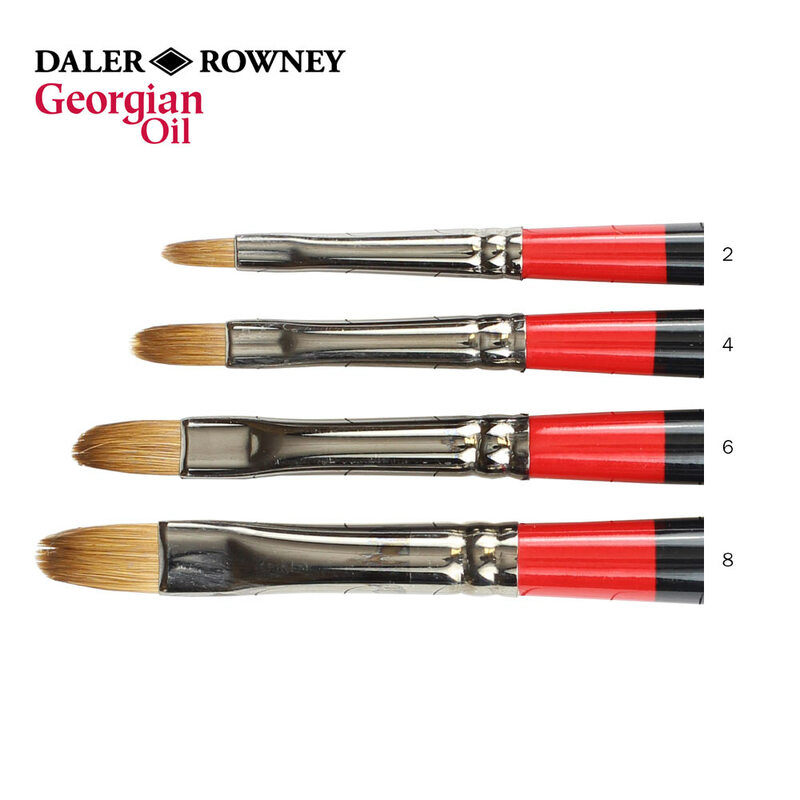 Daler-Rowney Georgian sable Oil Filbert brushes are made with extra-fine sable hair for maximum colour-holding and great for softening edges and making strong, tapered strokes. Sable brushes are used when the painter needs more control of colour when it has been thinned down with solvents. 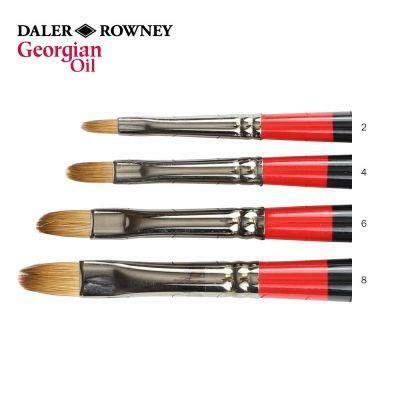 The high quality hair gives the brush excellent shape retention and allows the artists to paint intricate detail. This makes it the ideal complement to a Hog brush in an oil painter's studio.